In a recent research paper, I conclude that judging by their EP 2014 manifesto, the ‘Alternative for Germany’ is currently not a right-wing populist party. But I also argue that some members of the party elite “represent less savoury brands of right-wing politics that could ultimately prove more attractive to voters than Lucke’s polite exercises in economic theory. Just how long the party resists that temptation remains to be seen.” It would seem that we may have reached that point. The struggle for the AfD’s heart and soul is of course an ongoing process, but developments have sped up a bit in recent weeks. 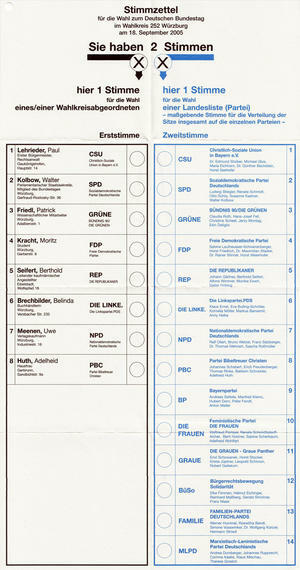 A month ago, the AfD did well, but not too well, in a regional election in the city state of Hamburg, Lucke’s hometown. Their local campaign had highlighted the pro-capitalist, market-liberal elements in the party’s ideology, avoiding references to Islam and Pegida. 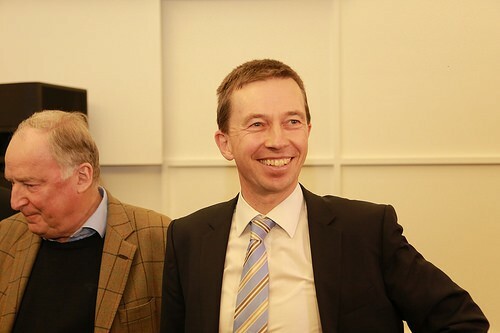 At the press conferences, the local party chair was sidelined by Lucke, who applauded this course, as well as by grumbling representatives of the electorally more successful Eastern state parties, who had not been invited to support their Western brethren’s campaign. Yesterday, a conference of the AfD state party in Thuringia voted for the ‘Erfurt Declaration’, a strong-worded manifesto that expresses concern about the normalisation/moderation of the party. 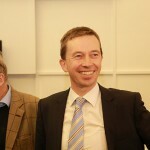 Without naming names, the manifesto criticises ‘technocracy’ (that’s a reference to Lucke), ‘cowardice’ and even – gasp – the ‘selling out of our national interest’ – anathema to every right-winger worth his/her salt, and another not too subtle reference to Lucke’s performance in the European Parliament. The signatories reject the official, sceptical party line on Pegida (a ‘civic movement’, according to the manifesto), demand a ‘fundamental political change in Germany’ and claim to give voice to widespread disappointment within the party, ‘particularly in the East’. The manifesto even aims to bring together all those who represent a ‘true alternative’ to the established party system (as opposed to the Ersatz liberalism that Lucke is delivering). The authors of the manifesto have also set up a facebook page and website called ‘der Flügel’ (the wing, or tendency) for the manifesto. More importantly, Alexander Gauland, party leader in Brandenburg, party founding father and one of the more prominent representatives of the nationalist wing within the party, has signed up. So a true (and Eastern) alternative within the Alternative is stirring. Is this the Putsch already? Stay tuned. The “Blue Books” have been around for more than 30 years. For each Bundestag election, there is a massive edited volume that deals with each and every aspect of this particular event.And for more than three decades, editors have urged authors and publishers to get on with their respective jobs. Inevitably, the massive tomes have always come out just in time for the next election.